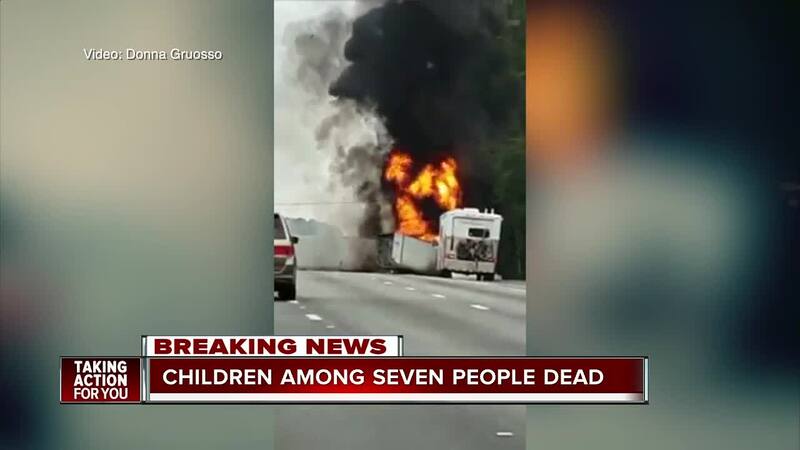 ALACHUA COUNTY, Florida — A portion of southbound I-75 remains closed Friday after five children and two adults were killed in a fiery crash on Thursday afternoon near Gainesville. The five children were reportedly on their way to Disney World, according to FHP. 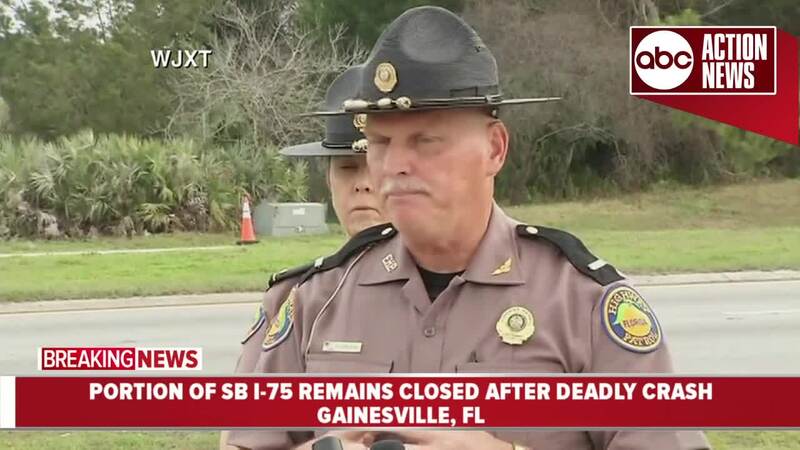 According to the Florida Highway Patrol, at least six patients were transported to area hospitals from the scene — multiple patients with critical injuries. 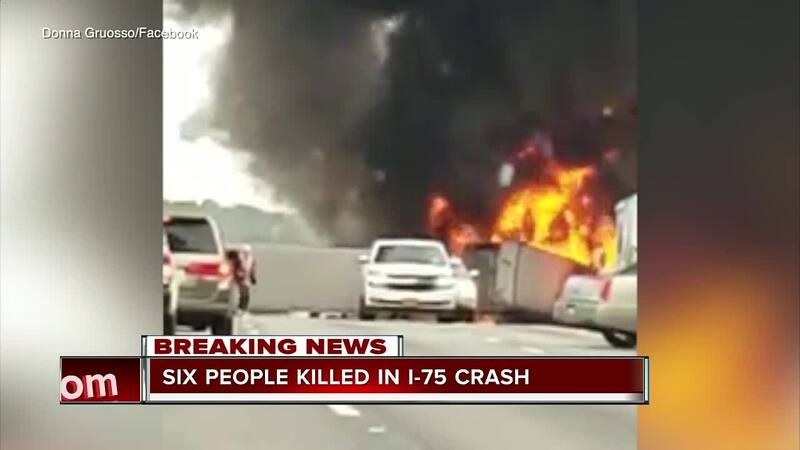 Alachua County Fire Rescue says the crash occurred at 3:42 p.m. in the southbound lanes of I-75 near mile marker 393 north of Northwest 39th Avenue. 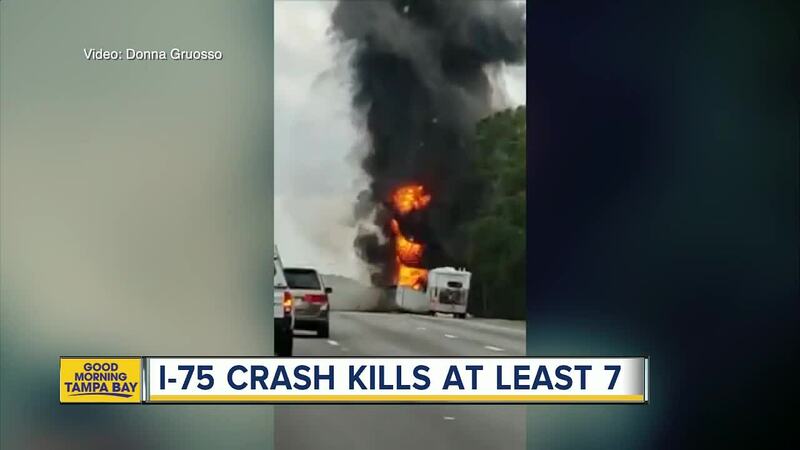 The crash involved two tractor-trailers, a passenger van and a mid-size four-door sedan, according to Florida Highway Patrol. 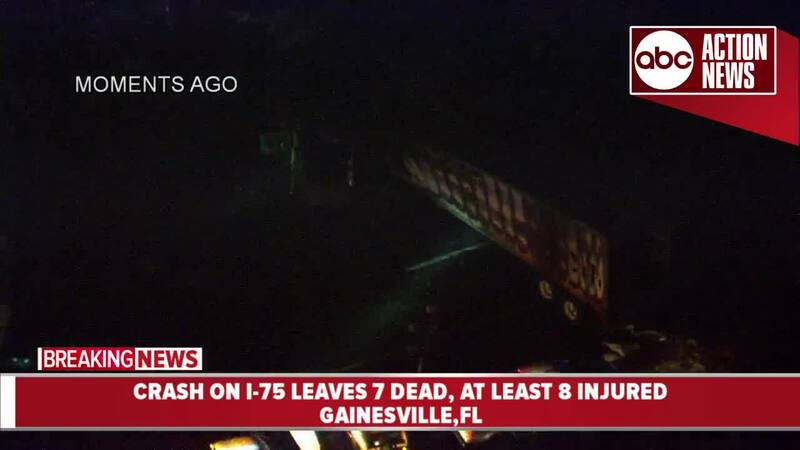 As of Friday morning, northbound lanes and only one southbound lane of I-75 is open in the area. 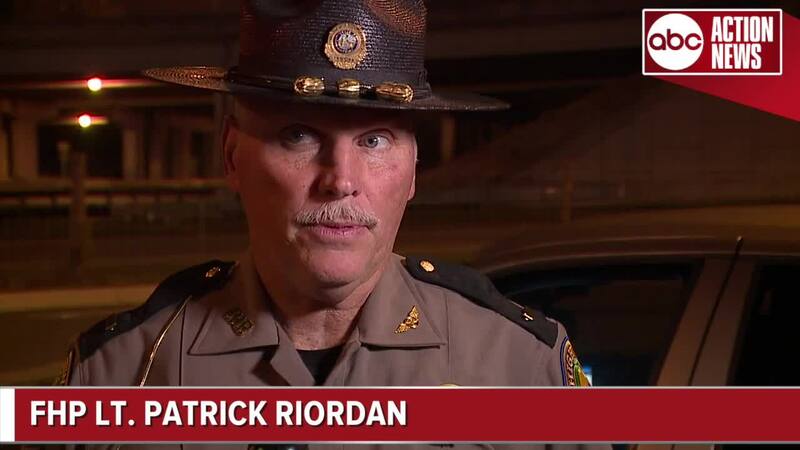 During a news conference on Friday morning, Lt. Patrick Riordan said the church passenger van carrying the children was from the Avoyelles Parish in Louisiana. They were traveling to Disney World when the crash occurred. The deceased children range in age from eight years old to teenagers. The two deceased adults were driving the tractor trailers. A helicopter responded to the scene to help with locating possible patients that may have been ejected during the crash. As of 9:30 a.m. Friday, only one southbound lane (left inside lane) of I-75 is open. The center and right lanes are closed for a "prolonged period" as FHP continues to investigate the crash. Officials are asking motorists to seek alternate routes and to remember Florida's Move Over Laws . There is a significant amount of damage to the road due to the fire. All northbound lanes of I-75 reopened at 8 p.m. Thursday. "This is a big investigation. It’s a large scene. There’s a lot of people that have lost their lives. We are working as diligently as we can, but we are going to be very thorough about this investigation. Our priority at this point is to make next of kin notification, but we have to know who those people are," FHP Lt. Patrick Riordan said. The UF Health emergency response mass casualty plan was activated at approximately 4:25 p.m. Thursday due to the accident. Six patients arrived at UF Health and are being cared for by UF Health faculty and staff.